ELKHART - Dorothy P. Young, 85, of Elkhart, passed away peacefully of natural causes at her home on Sunday, Feb. 10, 2019 at 5:09 am. She was born in Fulton County on Aug. 23, 1933 to the late Charles L. and Clara E. (Kepher-Rhinehart) Hartle. She was widowed at a young age from Joe B. Jordan. She married Charles E. Young on Apr. 22, 1960 in Warsaw and raised their family together. He passed in Elkhart in 2016. Surviving are children Linda Gray, Michael (Linda) Young, and Brenda (Nieves) Cortes; sisters Joan (Carl) Lowell and Rosella (Marvin) Osborn; brothers Leland (Mary) Hartle and Richard (Linda) Hartle; grandchildren Chanda (Franscisco) Bicknell and Jennelle (Brandon) Scheuer and great grandchildren Dillon, Olivia, Charleigh and Jackson. Along with her parents and spouses, Dorothy is preceded in death by sisters Hazel Ullmer, Irene Hartle, and Imogene DeWitt, and brothers Raymond, Robert, Kenneth, James, and Paul Hartle; great grandson Carlos Bicknell and son-in-law Tim Gray. Family and friends may call at Billings Funeral Home of Elkhart on Thursday, Feb. 14, 2019 from 4-7 pm, followed by a service on Friday, Feb. 15, 2019 at 11:00 am with visitation beginning one hour prior. Pastor Jacob LaBounty of Zion Missionary Church will officiate and burial will follow at Chapel Hill Memorial Gardens in Osceola. Dot worked in food service at Elkhart Community Schools. She then worked many years as a beautician, at Americana Nursing Home as well as owning Dot’s Beauty Spot of Elkhart until her retirement in 1996. 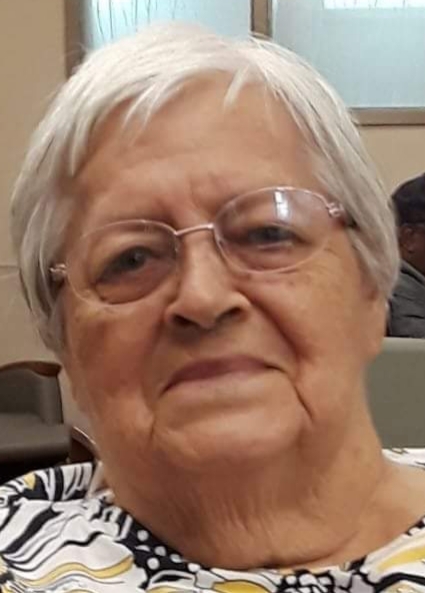 She was a member of Zion Missionary Church and loved sewing, quilting, playing cards, spending time with her family and wintering in Sebring, FL. Memorial donations may go to the St. Jude’s Children’s Research Hospital or the Center for Hospice Care of Elkhart County.